Last Tuesday around six p.m., a huge box arrived at my home delivered by UPS. When I opened it, I found three smaller boxes within, with an Xfinity logo on them. Immediately, my blood froze-I remembered that we decided to switch to Direct TV due to some quality issues—and I realized that my husband had to install the equipment. 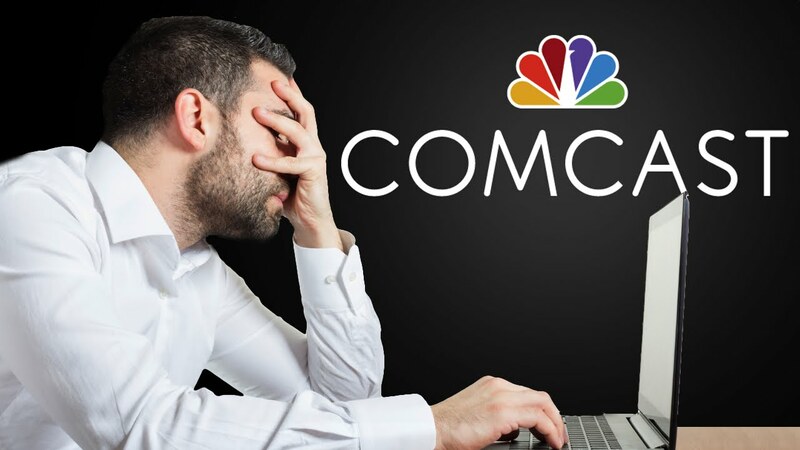 Regardless of his ability to do it—which he has… to a certain degree—companies like Comcast are reducing their payroll by transferring the nerve-wrecking job of connecting cable television to the customer. In the good old days, a professional installer showed up in a van–full of wires and equipment and usually late–wearing his pants low, not saying much, and connected everything in a matter of minutes. Well, not anymore. And so, the installation attempt began after my husband put our son to bed at 9 p.m. He read the instructions, calmly, and followed them—to my surprise–step by step. I turned on every light and the fan at the highest speed in the family room. I foresaw things were going to get hot, pretty soon. About thirty minutes later, my husband’s tone of voice started changing. He asked me to help him hold the TV while he shuffled and pulled the wires behind the entertainment center, violently, like he was jumping rope. I also held a flashlight so he could see the ports on the TV and try the different connections. After three failed attempts my hubby’s patience started dripping. The screen kept showing a message that reminded him of the obvious, like putting salt on a fresh wound. Finally, he grabbed the phone and dialed the Comcast Customer Service line at 10 p.m.
My Mom and I were sitting at the kitchen table, drinking some tea, as we listened to my husband scream, repeatedly, “Representative!” on the phone trying to skip the options such as, “Press One to hear your balance or press two to pay your bill,” which sounded like an insult at a time when all he wanted to do was to cancel the service. One would think that at 10 p.m. the wait time would be shorter. However, it took him at least five minutes to get a rep on the phone. He answered patiently all the security questions and described the issue. I have a lot of respect for people who work at centers around the globe, because a lot of times, they become the punching bags of rude and mean people who pick fights as a hobby. Nevertheless, in this case, the woman who took my husband’s call, seemed to enjoy driving him crazy. She kept asking him the same questions and repeating the same instructions without acknowledging what he was telling her. Finally, my husband lost it and yelled at her, “Do you think I am stupid? Please stop talking and put your supervisor on the phone!” In the 10 years I’ve known my husband, never before did I see him talk to someone like that. He is the nicest man I have ever known in my life; therefore, to see him turn green like The Hulk was quite the spectacle. After all the failed attempts, the supervisor surrendered and scheduled a technical visit for Thursday morning, but before they hung up, my hubby did what he does best: he hustled him and got a free month’s service. Before we went to bed, I checked my husband’s temperature and made sure he hadn’t blown a gasket. Then, he told me that he couldn’t be home for the appointment with Comcast. So… guess who had to wait between eight a.m. and noon like a moron? Yours truly! In the end, even though I didn’t go to war with Customer Service like my husband, I ended up as collateral damage and picking up the mess. Very funny column. But the truth, this is a nightmare. Congrats Xiomara. Have a nice day! Previous PostPrevious High as a kite!